Check back occasionally as rates change often. 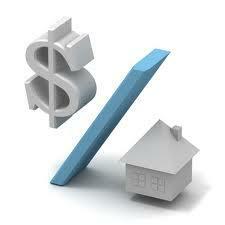 Rates, terms & fees will vary between lenders. It is very important to use a local lender when possible, preferably someone who has been referred to you by family, friends or your Realtor. Online and out-of-town lenders have been known to have problems in loan processing and sometimes results in the loss of the buyers home purchase. This is one of the largest and most important investments you will make, make sure to choose the professional that you or someone you know has full trust in. You want them to be able to handle your loan process as seamlessly as possible and not cost you more than it needs to. If the loans being offered in TV advertisements or online look to good to be true, they usually are. Be very careful who you put your trust into. If you are looking for a local professional, click here for our preferred lenders. Information provided is deemed reliable but not guaranteed. Visit your local lender for rates that fit your personal credit history and debt to income ratios. There are many details that will vary each borrowers rates and fees, check with a lender today to see what your personal mortgage rates would be. Make sure to meet with a lender to get your pre-approval process started, it is the very first and most important step in starting your home purchase process. If you would rather not contact a lender and would like for us to have one contact you, just click below and enter your contact information and type “lender request” in the message box.